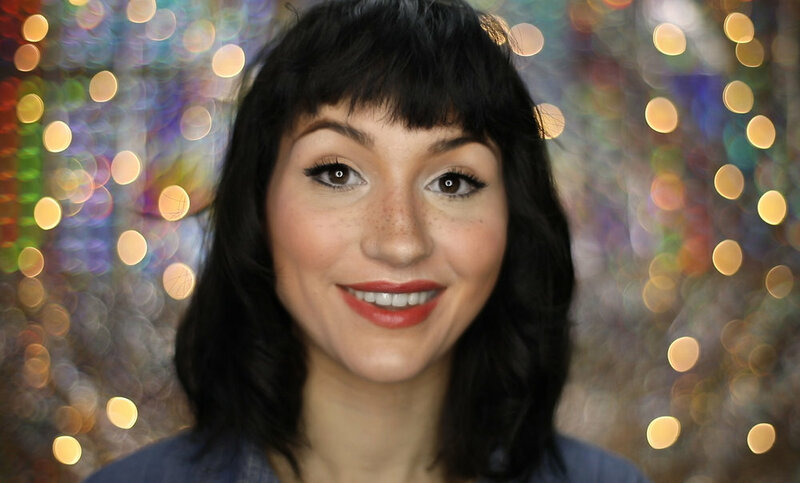 Eva Landry is a YouTuber who creates tutorials, music videos, product reviews, DIYs, and lots of weird and fun experiments. In this interview, find out about the inspiration for her videos and how she started her channel. Gal: When I saw your channel, I got really excited. You are doing some pretty innovative work in After Effects and camera lighting. When and why did you start your YouTube channel? 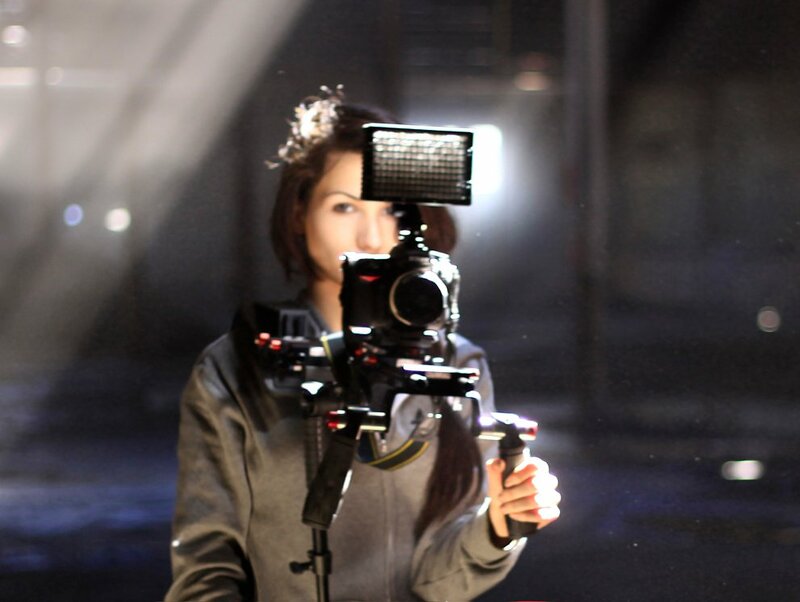 Eva: I started my YouTube channel to share behind-the-scenes videos I was making for my friend Benjamin (Von Wong). We were dating at the time, it must have been like six or seven years ago, and he was kinda starting to get more serious about doing photography and wanted to grow his fanbase on Facebook. We were shooting almost every weekend, so I suggested that I should film him while he was doing his photoshoots. He has such a fun, likable, and intense personality, I knew it would be entertaining for everyone to watch—and it ended up working really well for him. So he got me different cameras to try and every weekend we would film. During the week I would sleep only four to six hours every night and would learn how to edit with Adobe Premiere Pro—trying to finish on time for the next project. At first it was taking me about a week to edit a 3-minute video. Now it would take me an hour. They say it takes 10,000 hours to master something, I’m pretty sure I did them. I studied Education at Concordia university, so it came naturally to me to share on YouTube the things I was learning along the way. After all, I learned all the basics watching videos on YouTube, so I felt I had to give back to the community. Gal: How do you find inspiration for your videos? Do you make freelance videos for clients and find techniques through your freelance work? Or is it more random? Eva: Recently, I got a lot of inspiration from watching ALL the episodes of Star Trek from the 60’s until now, and also the movies. I’m a huge nerd. I think most of the time the ideas come from a need, like "I can’t afford something," so I make a DIY video and I build it myself. Or I want to try something or build something that doesn’t exist, so I solve the problem. I keep a book of a bunch of inventions that could probably work out and get popular (50% are plain ridiculous and I should just burn that book, to be honest). Gal: When did you start making DIY videos? Do you tend to experiment to find your own solutions to video/editing dilemmas? Eva: I often think of easy solutions to create something that I clearly can’t afford with my salary as a part-time art teacher. I really wanted to make a one-stop video for beginners to learn all the basic tools and how to DIY them ... but in the end it was like 20 minutes long. So Ben (Von Wong) told me that I should try to stick with short DIY’s and he showed me a bunch of cool examples, and I really got inspired. So instead of just trying to make one I decided to do a series: ‘’The 12 Trickz of Xmas’’ with the same painful Christmas song for each of them. The series really got popular and a lot of cool sites shared the tricks, which was motivating. Gal: You have a pretty clear style. It’s flashy, experimental, and colorful! Has your work always been like this? How did you develop this aesthetic? Eva: I think I’ve always had a different style, same with fashion. In high school, I was always excited to create my outfits—my dad showed me the basics and I was making my own patterns from pictures and making costumes, then wearing or selling them. I learned to sew because nothing was the way I needed in stores. So when I started doing video, I felt a little bit the same. I have packs of free clips on my channel that are inspired by fashion and trends I liked at that moment. I think fashion has a huge impact on many other videographers. Gal: I saw that you've given out lots of freebie effects on your channel. Do people request them? Or do you come up with ideas on your own? What are some of the favorite freebie effects you've made? Eva: I had a lot of musicians request projection visuals for their shows since many can’t afford custom visuals—so I figured I would make free packs they could use. They're also nice to use for photo shoots and music videos. I made a bunch, just to try new things, and then I would share the ones I loved the most. Since I want to make videos that are not already done by someone else on YouTube, I usually have to find my own ways to create the effects I wish to achieve. I experiment a lot and, yes, I fail sometimes. But failure is part of the process, and sometimes when you lose you win. I learned so much doing all these and you will too if you give yourself time. Gal: What Cameras do you own? And which cameras and lenses do you like to use most for your video tutorials? Eva: Right now I use a Canon 5d Mark II and a Canon 5d Mark IV DSLRs. It's always good to have a backup body. I also use my small Sony RX100 MIV for the super slow motion (up to 976 frames per second!!). For audio capture, I have a shotgun mic (videopro) by Rode, a H4N recorder, and a Lavalier mic by Rode also. Sound is a very important part of the process. My favorite lenses are the L series by Canon. In studio, I use my 24mm F1.4 a lot and I also love to use my 50mm F 1.4 by Zeiss for tutorials. I own many other lenses but these two are my go-to when I shoot my YouTube videos. I plan on getting a 35mm F 1.4 soon, which will also be used for these videos. Eva: That’s such a hard question. It changes every month, honestly. I try to never do the same things, so it forces me to reinvent myself (like Madonna). Right now I love Sapphire 10 by Genarts, and if you are a student you can get it for free. Otherwise, I love to create a mix of analog and digital effects so it adds more variable to the end products and more uniqueness. That’s why I’ve been experimenting with a lot of textures and filters directly on camera (ex: peanut butter, Ice, etc). Gal: I’m super happy to feature your work and have you write some blogs about your tutorials. Yay! So how else can people find and follow you on social media? Eva: Thanks so much! I really can’t wait :) My website www.evapro.ca is a direct link to my Facebook fan page where I share some behind-the-scenes and my work.